Genuine GI Military Pocket Chain Saw - Worlds fastest cutting pocket saw. High strength heat tested steel. 28" (inches) long. Made in USA. 40 bi directional cutting teeth. Coated for rust resistance. 28" (inches) long. 124 bi-directional cutting teeth. Can be used by one or two persons. Meets official military standards and used by the US Military. 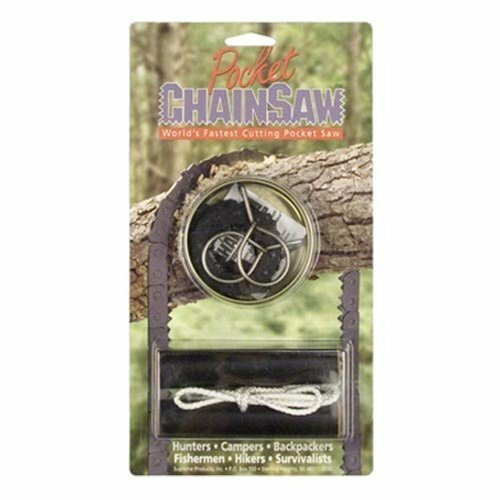 Portable, compact, hand chain saw. Short Kutt Pocket Chain Saw.